I was very excited when I watched the coverage of The Duke and Duchess of Cambridge and their gorgeous baby boy leaving the hospital and noticed they were using the same infant carrier I use for Aria, which you can see here. I love the ISOFIX, I really couldn’t do without one now. If you are unsure about what the ISOFIx base is, you can have a look at this video here. Perfect for all parents with newborns, BRITAX’s award winning BABY-SAFE infant carrier range has a host of features offering complete protection for your little prince or princess. The BABY-SAFE infant carrier range is perfect for all parents that have any of the BRITAX pushchairs and those who have a Bugaboo, Silver Cross Surf or an Oyster pram and want to convert their pushchair into a travel system. Perfect for babies from birth to 13kgs (approximately 12-15 months),the current BABY-SAFE infant carrier range includes the BABY-SAFE and BABY-SAFE plus SHR II which retail between £99.99 and £129.99, and can be installed with the BRITAX BABY-SAFE ISOFIX and Belted Bases. 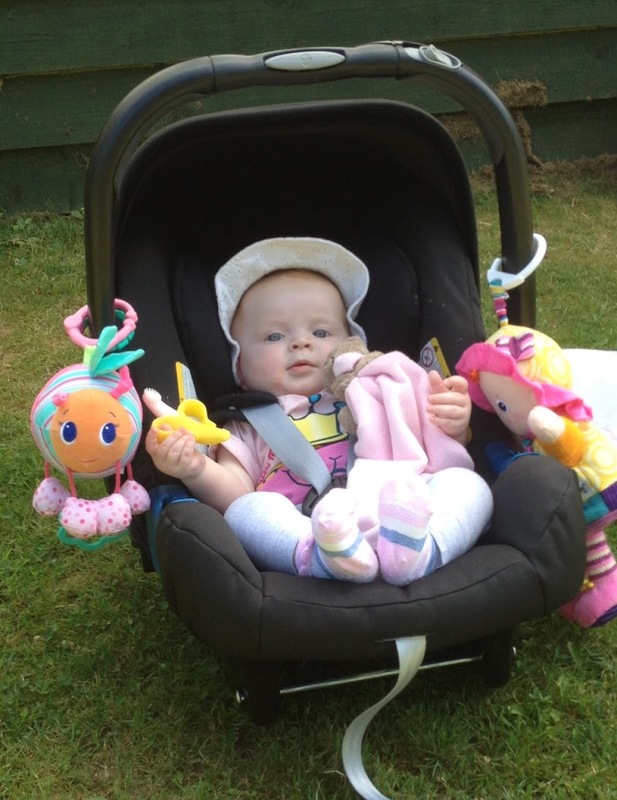 Are you confused by car seats regulations? BUT do move her if her head is protruding over the top of the Group 0/0+ seat. If she outgrows the seat in height but has not reached the minimum weight for a Group 1 seat, you should then invest in a combination Group 0+ & 1 seat. That is simply the safest option. You can already consider purchasing a combination Group 0+ & 1 seat as your baby’s first car seat from birth. DUALFIX and MAX-FIX from BRITAX will allow your child to travel rearward facing until they reach 18kg. Disclaimer:- I have the not been re-imbursed for this post, I found it interesting and thought I’d share as part of the Mumbassador program.